. Published on October 26, 2011 . Winning free bamboo bed sheets was easy! Tina simply entered her full name and email address on the Bamboo Bonus website, and she shared it on Facebook and tweeted it on Twitter for more entries. The more entries you have the more likely your name will pop up in our random winner selection every Wednesday. Check back tomorrow to find out what the Bamboo Bonus prize will be on Cariloha’s Bamboo Bonus web page, or Cariloha’s Facebook and/or Twitter pages. Every Wednesday’s a Winner! We hope you enjoy your sheets, Tina, especially with the cool weather setting in. Bamboo sheets are thermal regulating – keeping you cool when it’s hot and warm when it’s cool. 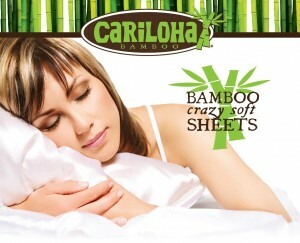 Who’s cranky right now and could use some bamboo sheets to help them soften up and cool down?